The Londonderry Lion’s Club is now accepting donations to be used towards to their semi-annual Giant Yard Sale. The yard sale will be held later this month and donations will be accepted until the morning of the sale. Donations for the yard sale can be brought to the Lion’s Hall on Mammoth Road, but it is asked that arrangements to leave items be made with Tom prior to dropping them off. The Lion’s Club will not be accepting large kitchen appliances, couches, skis, air conditioners, computers or televisions. 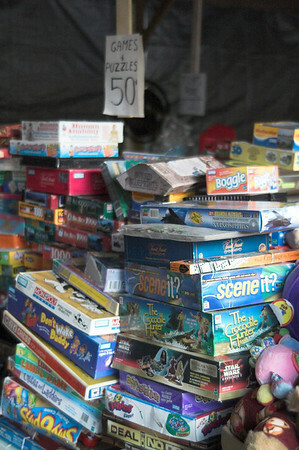 Groups and individuals interested in renting a table during the yard sale can do so. Renting tables enables the sellers to support the Lion’s Club’s cause, while being able to make a profit themselves selling unwanted items. The Giant Yard Sale will be held on October 22, 2011, from 8 AM until 2 PM at the Lion’s Hall, located on Mammoth Road across from the Town Common. Bargain hunters are welcome to browse the many items the Lion’s Club will have on sale. All proceeds from the sales of the donations, as well as the table rental fees, will go directly to Londonderry community charity efforts, including local eye care. To make a donation or learn more about renting a table, please contact Tom at 603-216-1637. Jacklynn has been a resident in Londonderry since the age of 5. She grew up in a quiet neighborhood and went through the great school system. She has fond memories of bike riding through town in the spring and summer, sledding in the winter, and apple and pumpkin picking in the fall. She now has children of her own and looks forward to raising them in the same town she enjoyed so much as a youth.